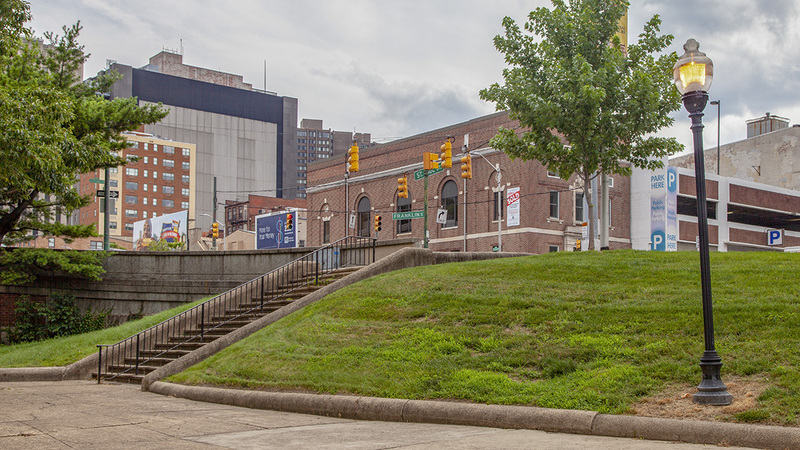 Sited on a 2.66-acre plot acquired for the City of Baltimore for the construction of the Orleans Street Viaduct, this park was built against a backdrop of racial segregationist policies put in place by Mayor James H. Preston. 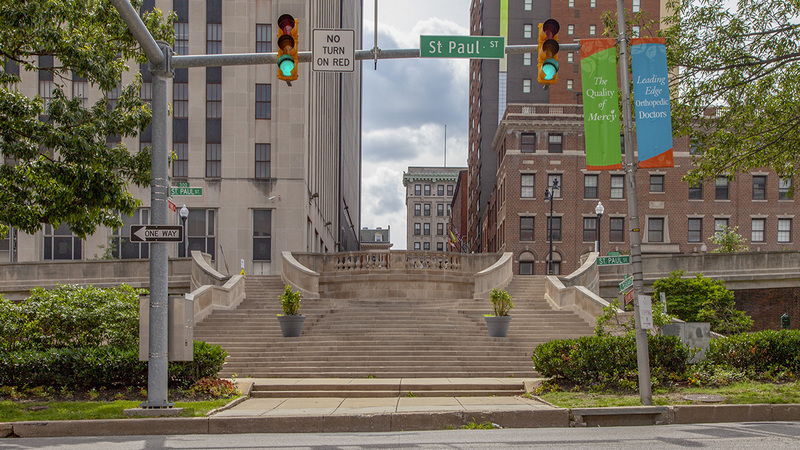 Once located within Gallows Hill, a thriving African American neighborhood with a mix of residential, commercial, religious, and public buildings on Saint Paul, Hamilton, and Courtland Streets, the site was identified as potential parkland in a 1904 report by Olmsted Brothers. 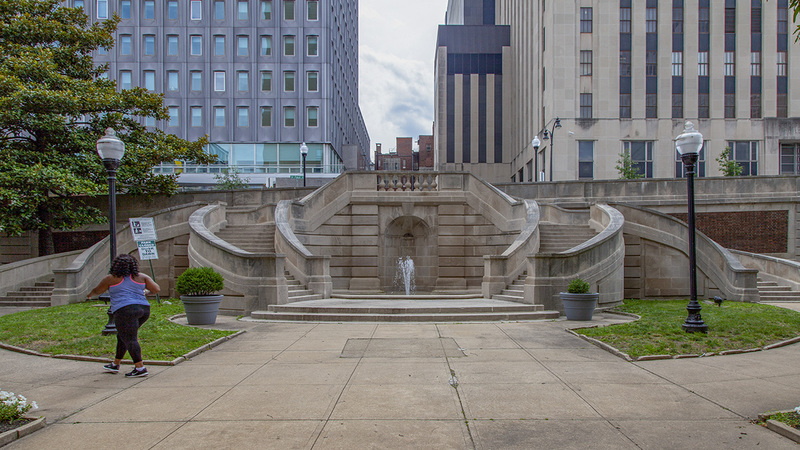 The narrow, linear park was later designed by architect Thomas Hastings of the renowned New York firm Carrère & Hastings and dedicated in 1919. 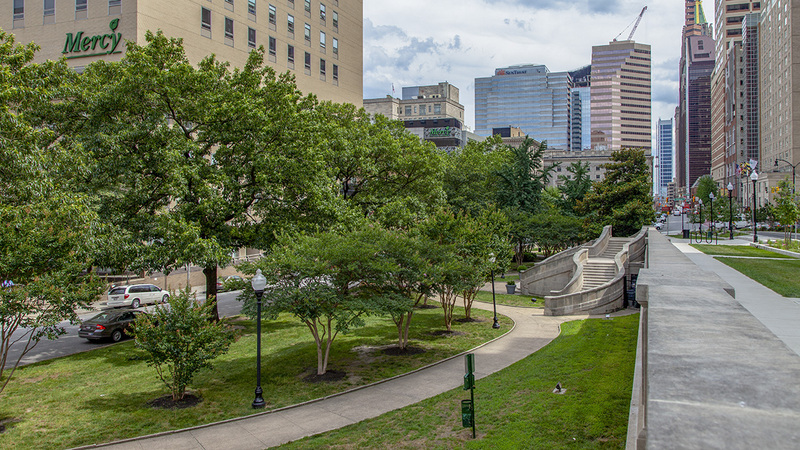 Spanning three blocks and bounded by East Saratoga Street to the south and Orleans Street to the north, the 715-foot-long, 70-foot-wide park was built between two parallel roadways (St. Paul Street on the east and St. Paul Place on the west), with the roadway on the west some fifteen feet higher in elevation than that on the east. The park therefore occupies two different levels. 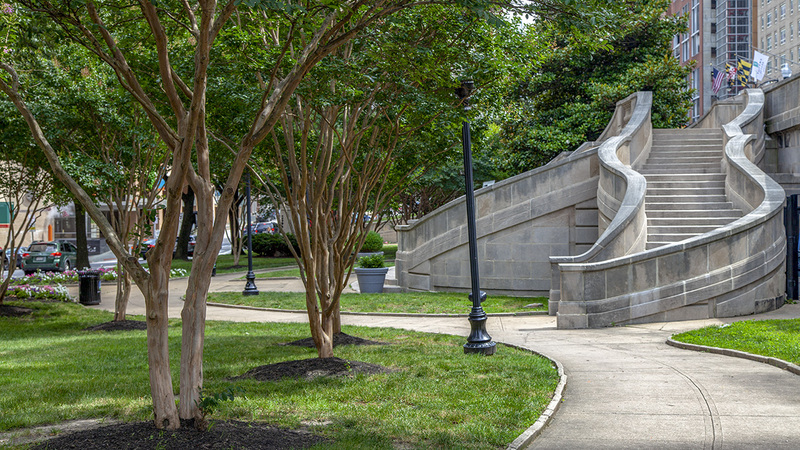 On the lower level, a single meandering path connects three limestone staircases, each encircling a fountain, set at intervals from north to south along the western retaining wall. 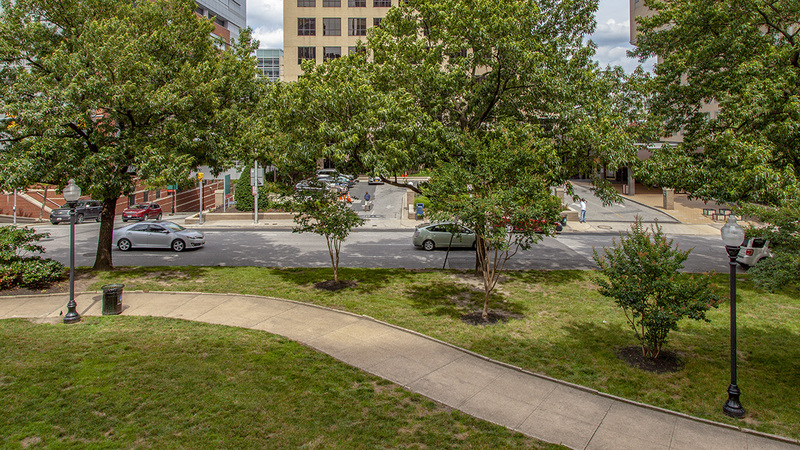 The winding course of the pathway creates discrete sections of lawn with plantings shaded by mature canopy trees. 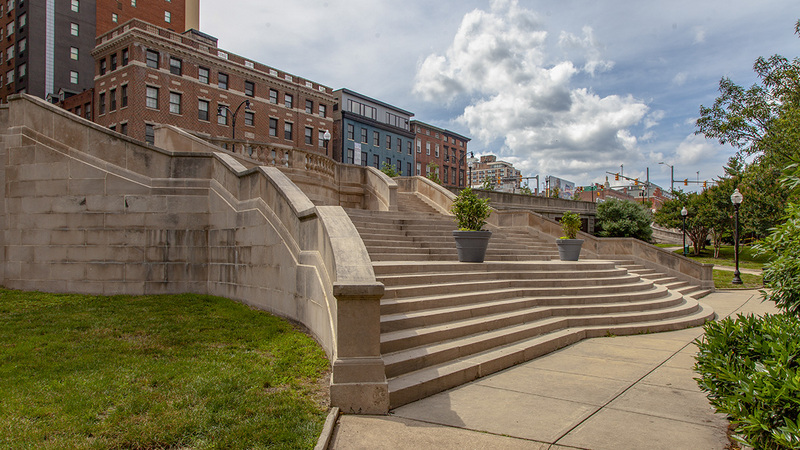 The three grand staircases, built against a brick retaining wall, give access to the upper level, which was essentially a wide sidewalk separated from the busy roadway by planting beds containing seasonal floral displays. 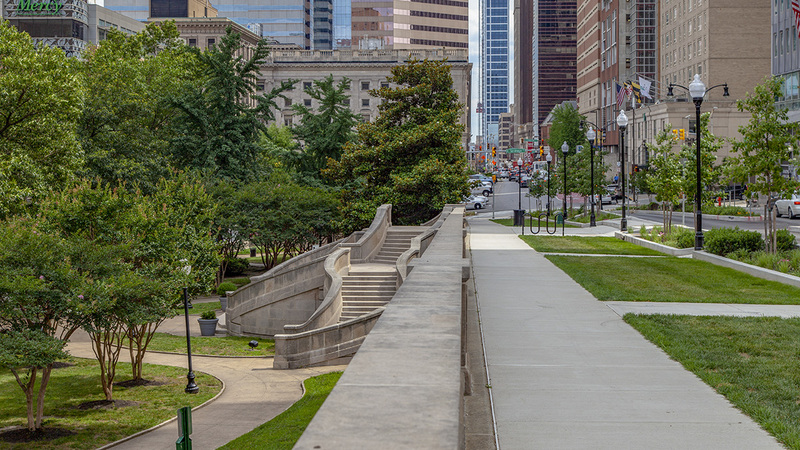 After falling into disrepair over the decades, the park was modified in 2016, when a plaza with food kiosks, outdoor seating, and a garden overlook were added to the upper level.